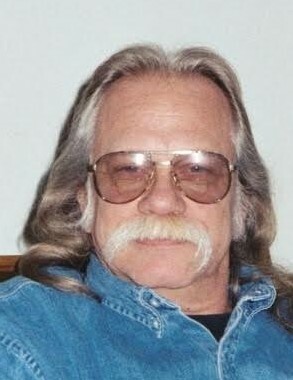 Ronald J. Huddleston, 71, Peru, passed away on Friday, March 15, 2019, at Miller’s Merry Manor, Peru, following a lengthy illness. Born March 3, 1948, in Peru, Indiana, he was the son of Henry Jason “Jay” Huddleston and Lois Maxine Wissinger Huddleston. On September 27, 1980, in Peru, Indiana, he was married to the former Rhonda Jolene Enyeart, and she survives. He was retired from Schneider Electric in Peru, where he had worked for many years. He served in the Navy, obtained two college degrees. He had been a Sunday school teacher and a Christian counselor. He loved being outside, whether it was gardening or fishing, but most especially, he loved being on his motorcycle. He is survived by his wife, Rhonda Huddleston, Peru; six children, Tammy, April, Jason, Katie, Laura, and Megan, and several grandchildren and great-grandchildren. A graveside service will be held at 2:30 p.m. on Thursday, March 21, 2019, at Greenlawn Cemetery, Mexico, Indiana, with Pastor John Rhodes officiating. Military rites will be presented by the Miami County Military Rites Unit.